On a budget and don?t want to go overboard on modifications? The K16/16G is an excellent turbo upgrade that can be done with the stock Porsche 996 Turbo K16 turbochargers. Fast spool up is maintained while the modified exhaust side of the turbo helps it breathe substantially more giving you gains across the mid to top RPM?s. With the VR Tuned ECU tune incorporating the 5bar FPR, your car will be putting out 575hp to the crank. Modifications should be consulted with a installer and the assistance of VR Tuned to maximize the potential of your vehicle. For those running catless race pipes, VRTuned raises the O2 limiters which trick the computer from throwing a CEL. This map is available for a 91 octane or 93 octane pump gas car as well. 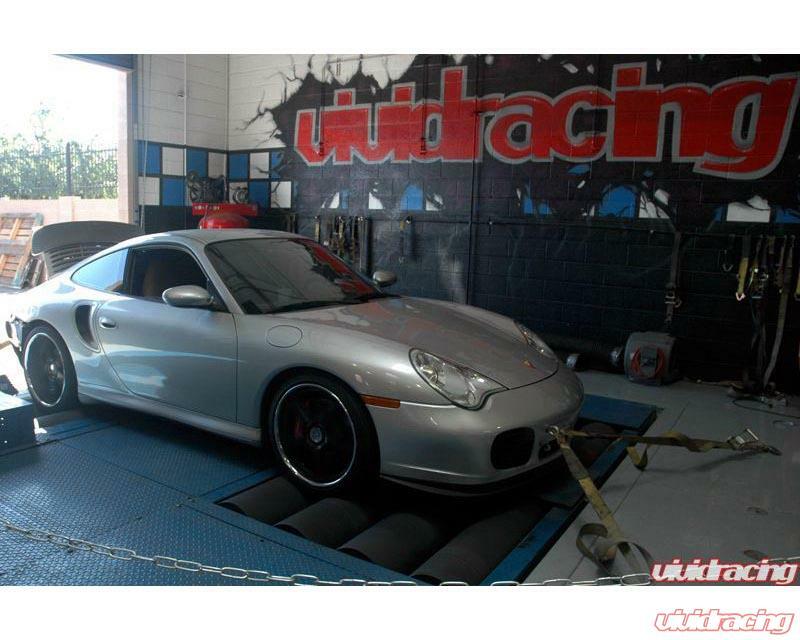 As tested on this 2002 996TT 6speed, this car made 453awhp and 503ft/lbs of torque on a Mustang AWD dyno. With a 25% drivetrain loss, that is a 566hp to the crank. The car was equipped with a high flow exhaust system, boost hoses, cold air intake, diverter valves, 5bar FPR, and running 1.2bar on 109octane race gas. Our tuning is used worldwide. We can provide you a tuned file no matter the octane you get or the environment you live in. We do both EU and USA vehicles running 91oct (95ron) or 93oct (98ron). All ECU flashing is done via the OBDII port. We provide you the cable and all you need is a Windows base laptop or a Mac booted up as a windows machine. There is no need for an internet connection, minimum processor requirements, or worrying about bricking your DME. You can flash your ECU at your convenience without incurring any downtime where others require the removal of your ECU. 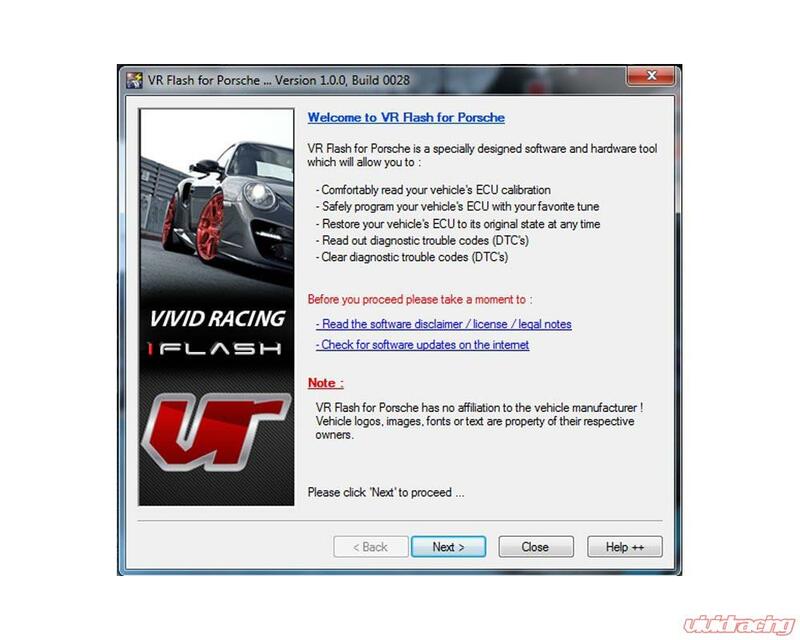 The VR Tuned flash client exports out your original file so you may flash your car back to stock at anytime. The flash client saves your ECU information in a recovery mode if you incur any issues during the writing process so you can easily restore your file. Basic scan tool functions that can view trouble codes and clear them are part of the software. 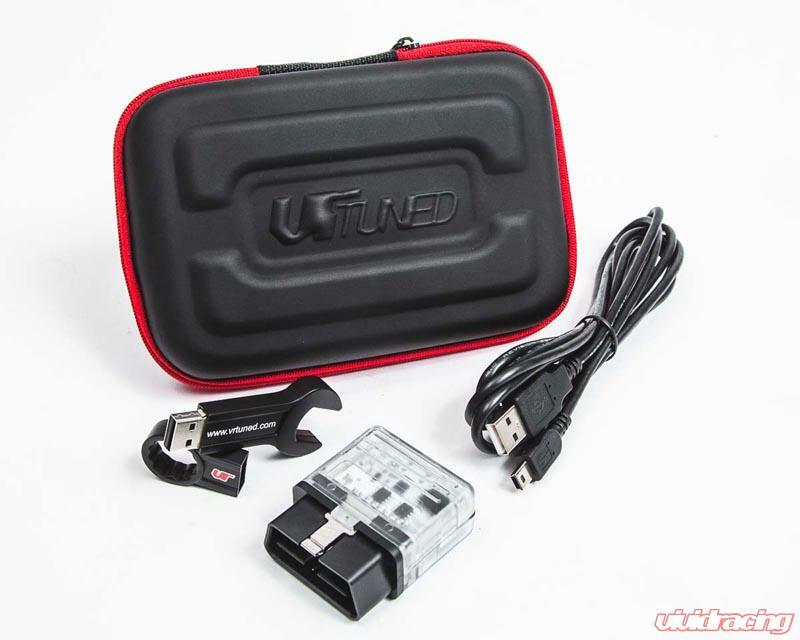 Each VR Tuned order receives a special carrying case to hold your OBDII connector and cable. We include a wrench style USB stick to save your files on and also give you a nice VR stick on badge for your car or toolbox. If you have any questions about the Porsche 997 Turbo ECU Flash, please contact our friendly support team! View the HOW TO flash your vehicle instructions on the VRTuned.com site here. You can also view the video process below.